Give your guy the gift of kissable lips, soft, touchable skin, and hair you can easily run your hands through. Choosing the right skincare and grooming products can be intimidating for your man, which is why this holiday gift guide for him under $50 is essential this season. Give him what he needs, while also giving a thoughtful gift (that doesn’t break the bank). He’ll love it! Does your man have a beard? Chances are, he doesn’t take very good care of it, or he doesn’t even know that he needs to take care of it (typical men). 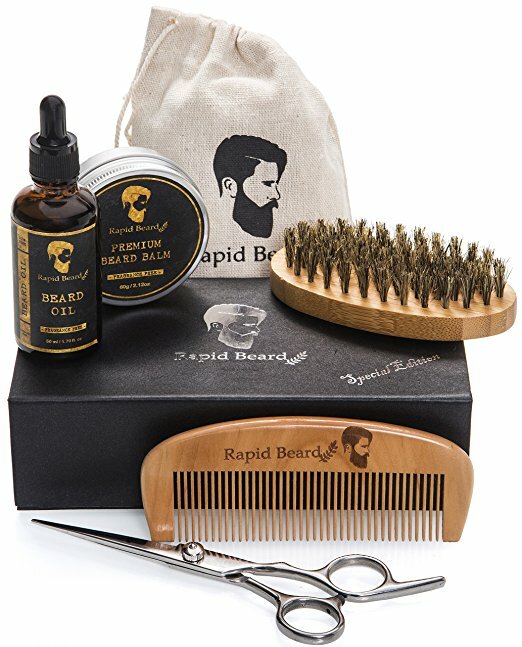 This beard grooming and trimming kit is perfect for any guy who rocks a little scruff. Bonus: It might even make him smell good. Lots of men have sensitive skin, and shaving doesn’t really help that. 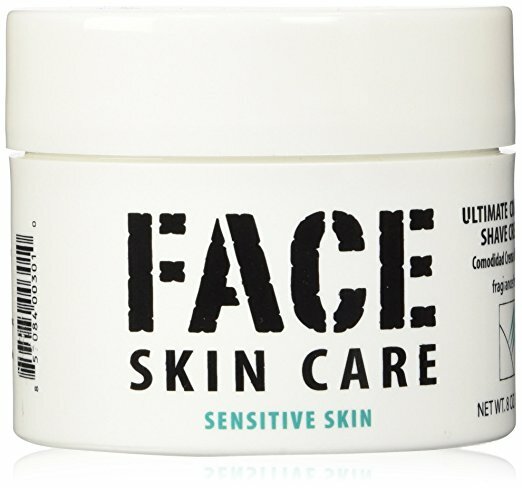 This shaving cream is specially formulated for skin types that get irritated easily, so he can get a close shave without being super uncomfortable. 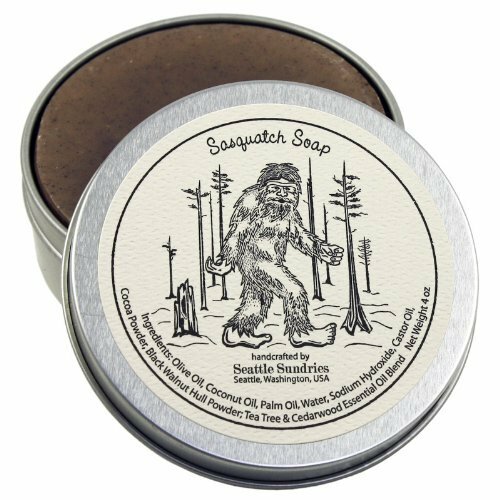 Your special guy will love the way this soap makes him feel and smell. The woodsy soap contains tea tree, cedar wood, and lemon essential oils with black walnut hull powder and cocoa powder for an all-natural and fresh bar of soap. Perhaps he’ll even let you hop in and give it a try! 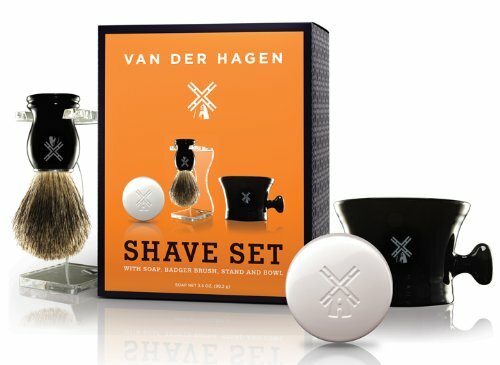 This complete shaving set comes with hypoallergenic soap, a 100% badger hair brush, stand, and monogrammed bowl. This is everything your handsome man needs to get groomed before his dates with you. Does your man have thick, full hair? Then we promise he’ll love this styling paste. Yes it’s girly, but take it from me—my boyfriend stole this product from my counter and swears by it. He wears it every day and says it keeps his hair texturized and in place better than any other styling paste he’s tried before. Surprise your guy with this gift, and we guarantee he’ll be raving about it by the next day. 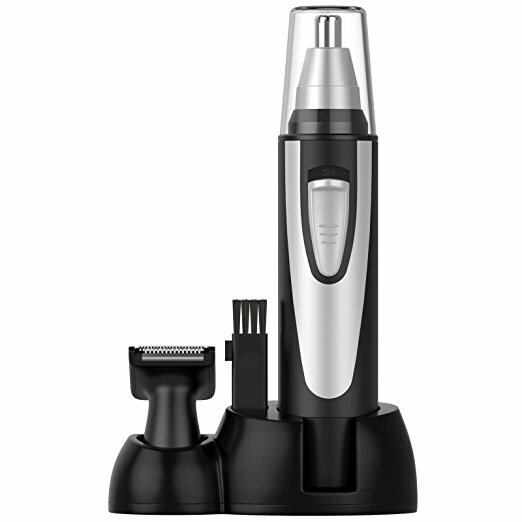 A nose, ear and hair trimmer is one of those things that pretty much every dude needs. This is one of those gifts that isn’t super exciting to give or receive, but trust me, he will use the crap out of this and thank you later.